Taylored Expressions Die Focus: Build A Treat Borders! Hello! 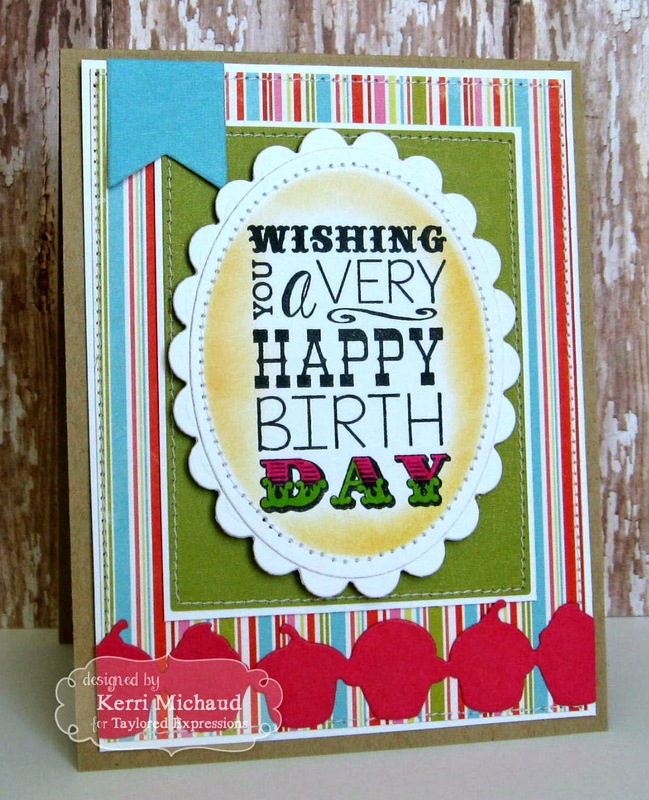 I wanted to share a fun little birthday card I made using the Taylored Expressions set Big Bold Birthday along with this adorable Build a Treat Border Die! This card came together so quickly. I simply stamped the sentiment with Memento Tuxedo Black Ink and colored the 'Day' with Copics. I cut it out with an oval nestability and added some sponging. I cut out the darling cupcakes using the Build A Treat Border Die and added a banner at the top using a TE Banner Stacklets 1 Die. A little stitching and it was complete! The dp is Carta Bella Summer Lovin'. Next week is new release week at Taylored Expressions and we will be starting with peeks on Monday! You are going to LOVE all the new summer products:) Thanks for stopping by today and enjoy your Thursday!